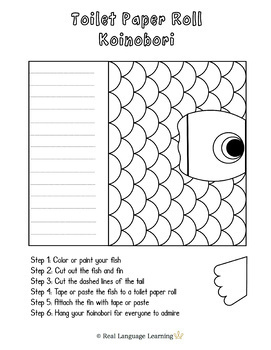 Koinobori (鯉のぼり) are Japanese carp streamers that are flown every year for Children's Day (子供の日). Families fly the streamers above their homes, with a koi flag for each member of the family. 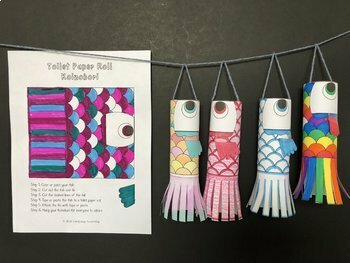 Your students can take part in this colorful tradition honoring children by creating their own koinobori. 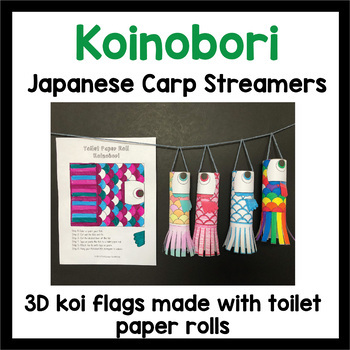 Appropriate for students of all ages and abilities, this activity allows each child to personalize a koinobori to be displayed proudly in their classroom or at home.